Does your marketing plan for selling contact packages need attention? The number of full year packages you sell very much depends on the strategies you adopt. It can pay off greatly to test a mix of selling strategies to find out what works best with your patients. If your long-term plan is to increase sales, you need to test the market to understand what customers want. Below are tips to get you started selling more yearly supplies. Although not a fancy marketing plan, simply remembering that your wallet is not your customer’s wallet plays a huge part in selling year supplies. Just because you may not be able to afford a year supply of contacts in one transaction, do not assume that your patients cannot. It can also be a disservice to you patients prejudging in other ways as well. Dress and physical appearance are often poor indicators of a person’s disposable income, although we often rely on these things to judge a person’s income. You owe it to you patients, all of them, to recommend the financial and convenience benefits or ordering a year supply. Your prejudgment of a person’s ability to pay truly does impact how successful you will be in selling a year supply. Break down the numbers for your patients. Show them what it would cost to buy a single box each time they need contacts versus the annual savings they receive when buying a full year supply. Manufacturer rebates are huge, and we recommend adding an in-house instant rebate for year supply purchases as well. We also recommend using a price comparison chart comparing a year supply from you with a year supply from an online retailer. Most patients will be amazed that they will actually save more money buying from you than online, especially with the recent onset of manufacture’s Uniform Pricing Policies and the fact that manufacturer rebates can often not be used with online purchases. Do not be afraid of pulling up 1800contacts.com directly on your computer for the customer to see that they will not be saving money online. 3. What can you offer that your competitors cannot? Customers are more likely to return to a business that gives them a unique experience. Look at what your competition is doing and try to make your experience more attractive than theirs. Discounts and rebates are great options, but the more creative you can be, the more unique the experience will be. Do what others are not doing. For example, we find offering a 30% discount on nonprescription sunglasses with a year supply contact lens order works great. This upsell offer doubled our orders for year supplies of contacts. Not only do you reap 100% of the financial benefit of the year supply order, but also add incrementally more profit from the transaction through the sunglass purchase. The patient is thrilled because they leave with a great deal on a pair of sunglasses they were not expecting and the UV protection benefits. There is no additional staff time involved since the nonprescription sunglasses are simply dispensed off the frame board and is written up at the same time as the year supply of contacts. Keep in mind certain premium sunglass manufactures do not allow their products to be discounted, such as Maui Jim. These lines would have to be excluded from this type of promotion. 4. Stock a supply of sellable contact lenses in your favorite brand. 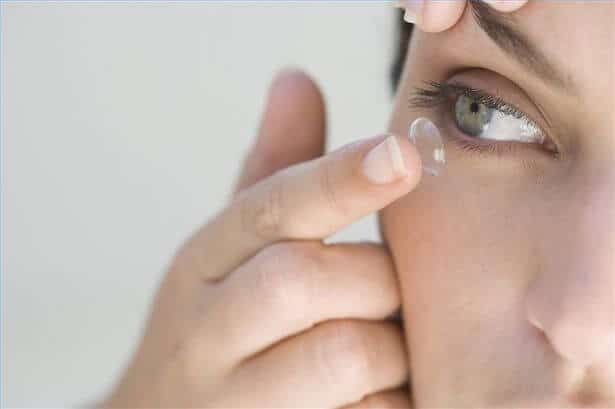 Part of being able to offer an in-house discount on year supply purchases comes from the savings incurred by stocking sellable contact lenses in-house. Contact the manufacture of your most commonly sold contact lens and find out what discounts they can offer you to stock them in your office. You can then pass those saving onto the customer as your in- house discount. The added benefit of this is your staff spends far less time having to order contacts, receive and shelf contacts awaiting pick-up, calling patents that their contacts are ready, and then interrupting their day to dispense the contacts when the patients arrives to pick them up. None of these activities are income producing. If you can have the patient walk out the door with their contacts at the time of the exam none of these other time consuming activities have to occur. Of course, not every power can be stocked, and toric lenses cannot be stocked, but you will find a large percent of your patients can be made happy by not having to return to the office to pick up their contacts (or have to wait to have them mailed) and your staff will spend less time on contact lens administrative duties. If your patient purchases a year supply from you, they are out of the market for the coming year. 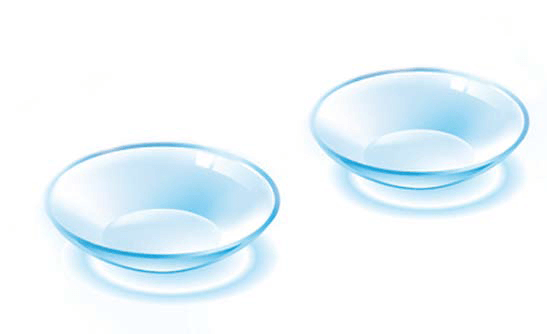 If they purchase only a 3 month supply, studies show they will be more likely to over- wear their contacts, and when they do run out, suddenly you are just one of many competing places for them to buy their contacts. 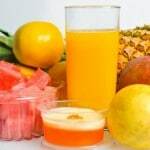 You owe it to yourself and your patients to discuss the benefits, both health and financial, of ordering a year supply. More tips and training available from OpticianU.